Nothing in the world is ever as good as we want it to be—it always disappoints. It is foolish to continue to put our hope in things that constantly disappoint. When we’ve tasted and seen that Jesus is faithful to never disappoint, we freely share our stories so others can find their joy in Jesus. Good stories have a before, an after, and a turning point where someone makes a decision. Part of living in this world means living under the weight of pressures that you didn’t create. There is hope for us if we take shelter under Jesus’ arms. You can be unashamed of your past when your identity comes from Jesus and not your circumstances. There are forces at work in the world that can control your life. Your life will be controlled by SOMETHING—Only if you are controlled by Jesus will you be truly free. Pain is good because it lets us know something is wrong. The most destructive sins are the ones we don’t know about. Jesus can remove not only the pain but also the source. Jesus is the hero of every story. All of us have a story of God’s work in our lives. Whether or not we’ve chosen to embrace Jesus as our Lord and Savior, God is still working in our lives. Often, we don’t see his hand until we believe the gospel and receive Jesus. Our mission is to give uncover to God’s work in our lives. Over four sessions, we will examine four Bible characters who uncover God’s hand in their lives. We’ll also connect the Bible to the present by sharing the testimonies of several of our youth workers. In all of these accounts, we’ll see that life is messy and there is no standard story. These witness accounts of God’s hand in our lives will lead us to challenge our youth to tell their own stories no matter how messy or how unfinished they may be. 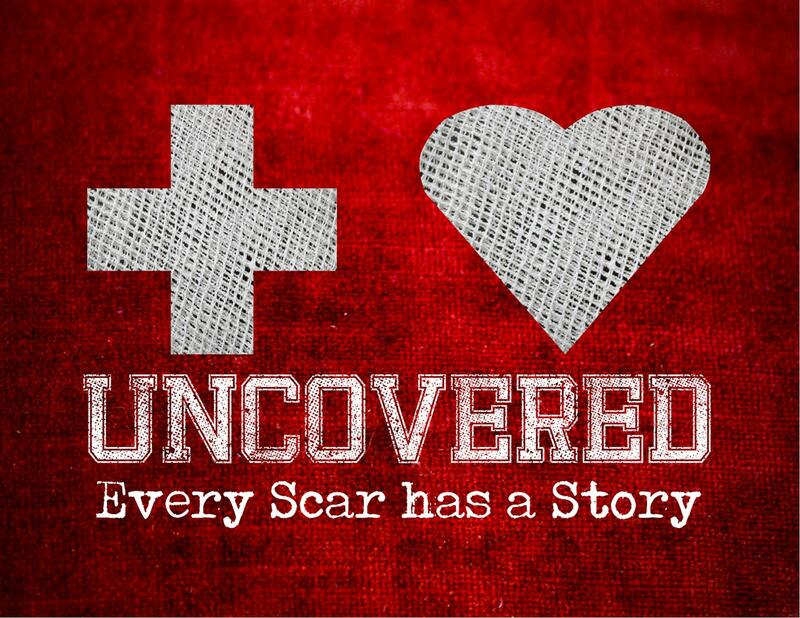 We don’t need to hide our scars, because they are the stories of how Jesus has healed us.